We are so excited to be able to bring to you the wonderful Wrappa Bees Reusable Food Wraps. 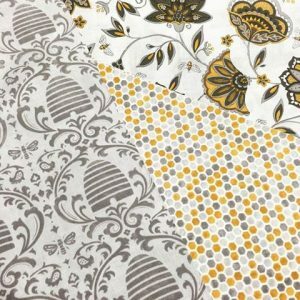 Wrappa Bees are handcrafted in South Australia using 100% cotton, local filtered bees wax, tree resin and jojoba oil, these stunning food wraps are a must for every household. 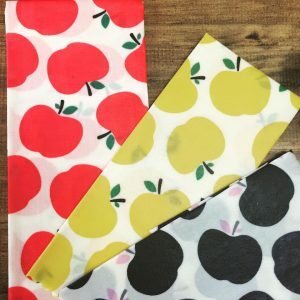 Wrappa Bees are a fun, funky and environmentally friendly alternative to plastic wrap! Wrap your fruit and veggies in the fridge. Cover your block of cheese. Wrap up the kid’s sandwiches. Use to stop your cutting board from slipping on the bench. Roll pastry or dough on top of them. Make fun little snack bags with the kids! The list is simply endless! The warmth from your hands is enough to soften the wraps and to allow them to stick! That is it! And they smell good enough to eat :). If you are conscious of the amount of plastic wrap that is wasted every year, then give Wrappa Bees a go. You can even turn them into little pouches for seeds and nuts. Care instructions: Do not expose to heat or hot water. Just wipe with a dishcloth and some diluted dishwater if necessary. Wraps contain anti bacterial properties naturally. We have many different varieties available both in our on-line store Reusable Food Covers and our warehouse at 1/27 Bennett Street Thebarton.